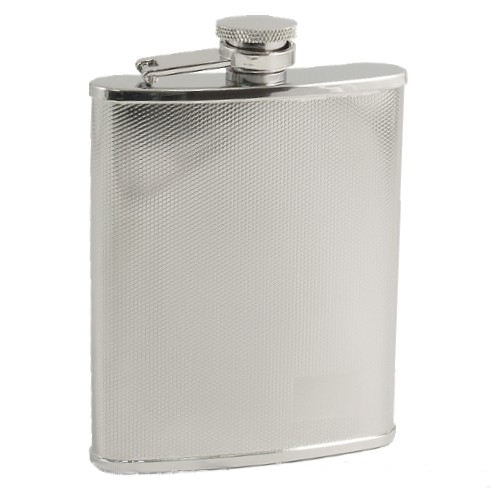 This beautiful hi-polish stainless steel flask features a diamond texture to help prevent fingerprints and smudging. The front of the flask also has a smooth area for engraving your initials. The lid is attached by a hinged arm to keep you from dropping or losing it.